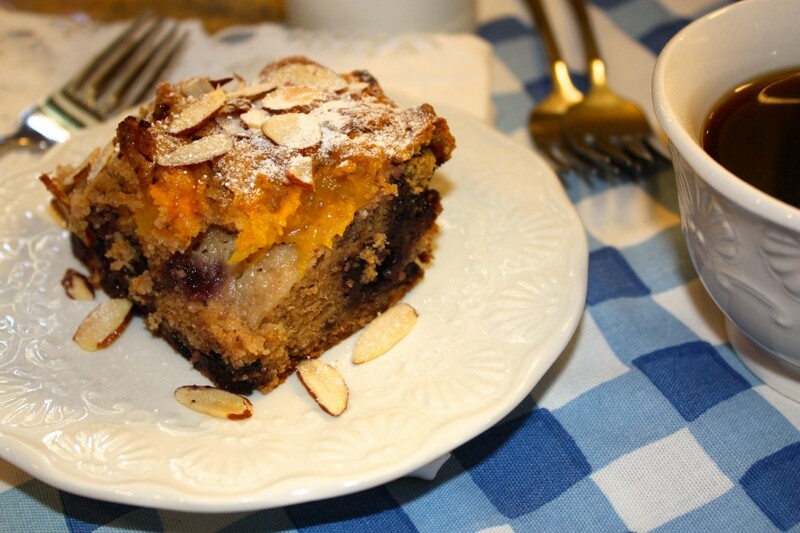 Peach Blueberry Buckle made with fresh fruit and whole wheat flour! 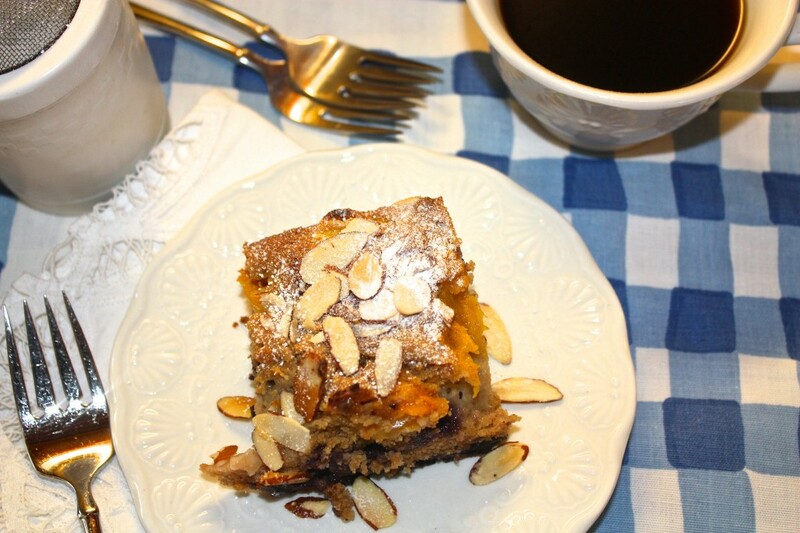 Top with sliced almonds and a sprinkle of powdered sugar! Peaches! I love them, but gosh they sure do ripen fast, don’t they?! 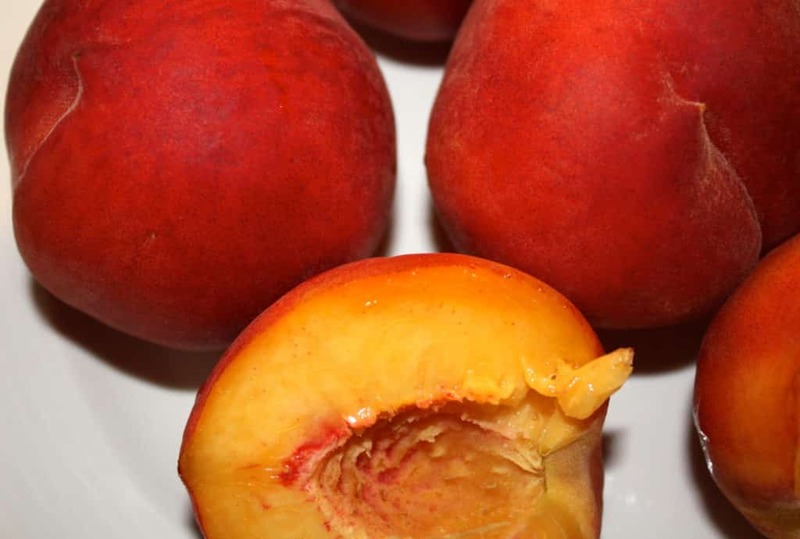 If peaches are not used within three or four days after purchasing, they’ll get mushy and they mold super fast. I know some of you are experiencing some summer heat and everything is baking whether you intend for it to or not, but I think you need to turn on that oven late at night or early in the morning, and make this Peach and Blueberry Buckle! When mixing ingredients it looks like there is way too much fruit, but it blends perfectly with the cake. I made this cake when we got home from visiting family over the Fourth of July holiday weekend. The peaches that I left on the kitchen counter were in the must use NOW stage! 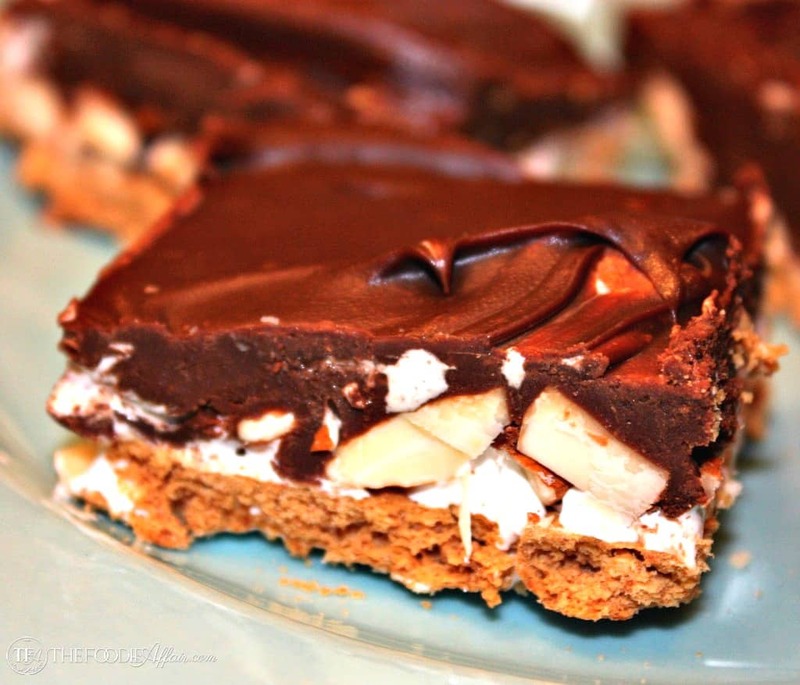 I planned on making this cake for dessert, but as soon as it was out of the oven, we I dug in for a taste! How could anyone expect to resist slicing into it with the smell of fresh baked cake lofting though the house?! I doubled our fruity bang by adding fresh blueberries. I also used whole wheat flour instead of all-purpose flour. Combine the two flours if you want! Summer's juiciest fruits in a moist coffee cake. In a large bowl, beat the butter and brown sugar with an electric mixer until light and fluffy. Beat in the egg and vanilla. Add half the flour mixture, then the sour cream, then the remaining flour. Mix well. 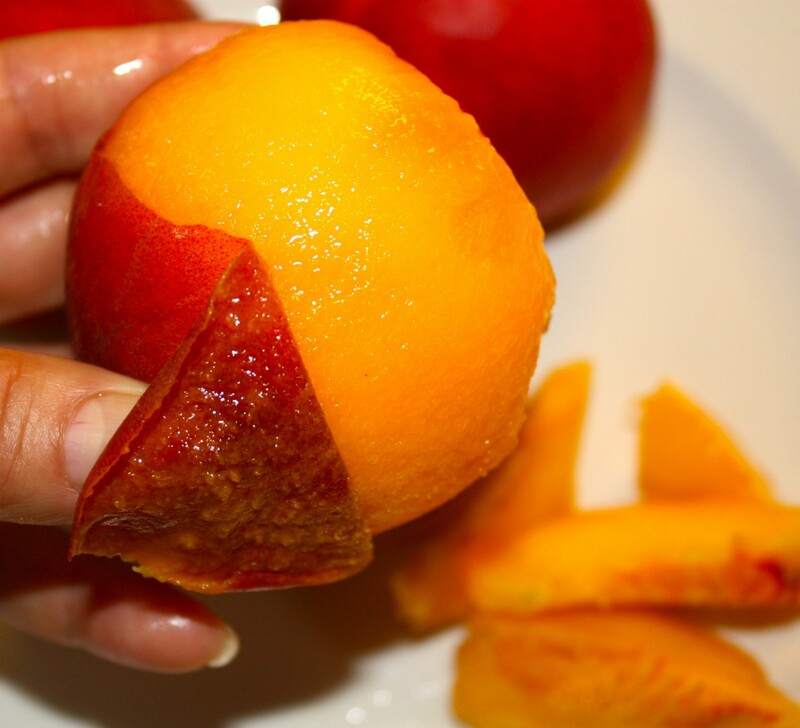 Fold in the fruit. Transfer the batter to an 8 X 8 inch pan or 2 quart baking dish. 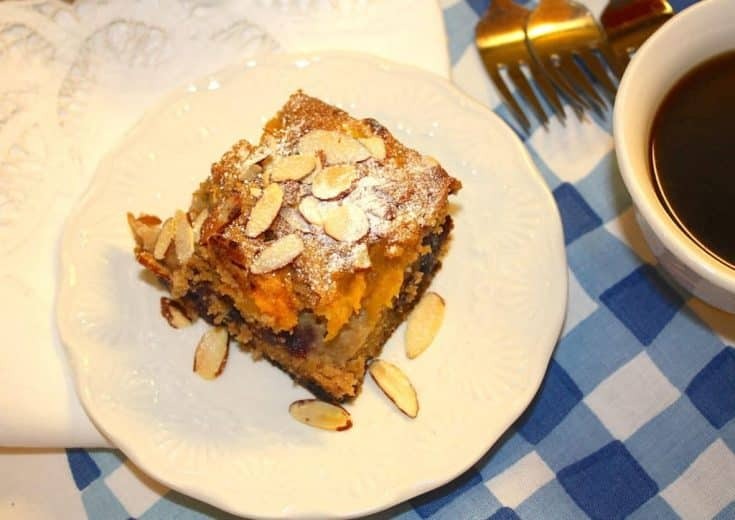 Sprinkle the batter with the almonds and bake for about 45-60 minutes. Test by inserting a toothpick in the middle of the cake. Let cool slightly and serve warm, dusting with powdered sugar. 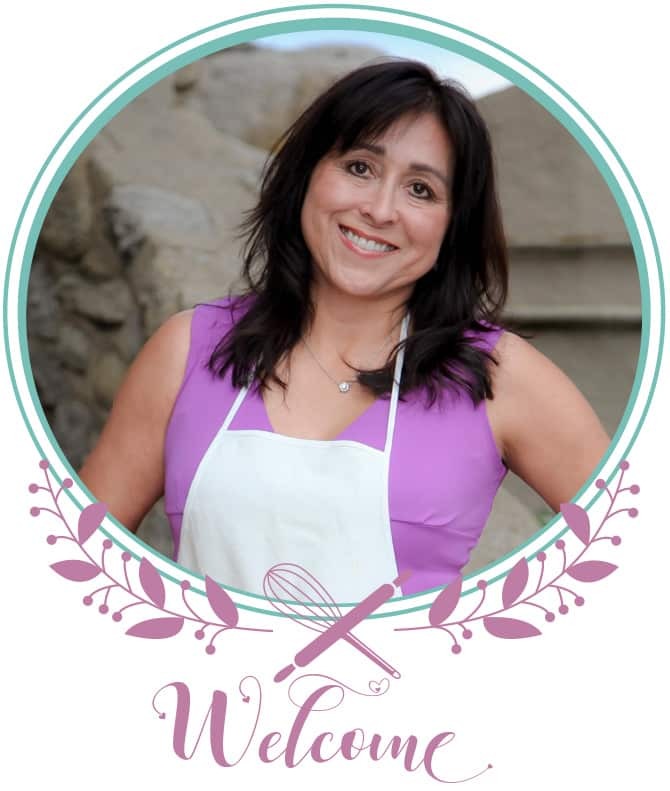 You can substitute the whole wheat flour for all-purpose flour if you would like. Sift the whole wheat flour a couple of times to add air to the flour. It helps with the density, by lightening the texture. When mixing ingredients it looks like there is way too much fruit, but it cooks perfectly in the cake. 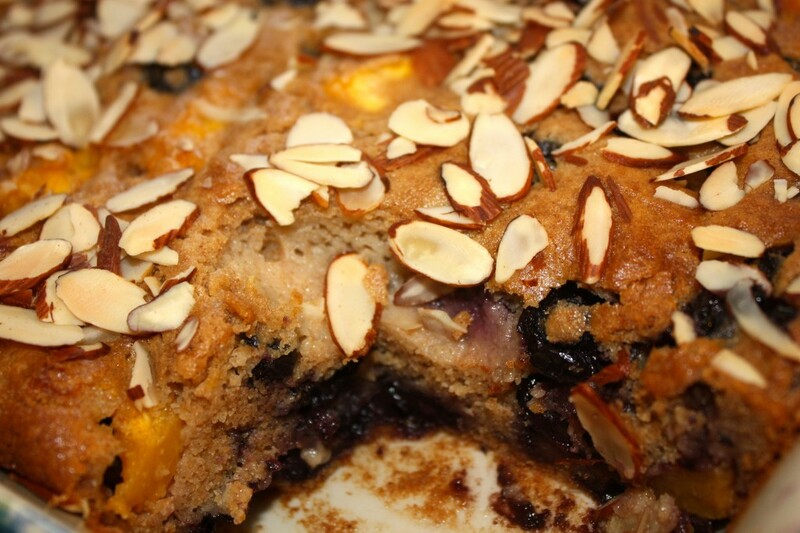 Peach Blueberry Buckle is similar to a cobbler, expect the fruit is folded into the batter. Sprinkled with powdered sugar and served with a cup of coffee! Dessert, breakfast, a summer snack. Oh, would a scoop of vanilla ice cream on top be heavenly?! If you like this recipe you also might like this Easy Peach Freezer Jam. Nothing like a sweet peach! Thanks, CCU! Oh girl. Those are some good lookin peaches!!! This buckles looks simply devine. Can’t beat fresh fruit dishes! Thank you, Jenny! Fresh berries are the best!